The Bombardier Learjet 40XR features improvements in hot-and-high performance, climb rates and estimated time en-route. With a maximum range of 1,723 nm, the Learjet 40XR is able to fly nonstop from Chicago to San Francisco or from Singapore to Hong Kong carrying up to seven passengers in the tallest, widest and longest cabin in its class. 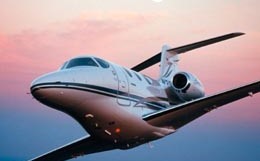 The name Learjet brings with it a certain level of prestige. Dating as far back as 1963's Learjet 23, revolutionary and innovative modern advancements have always been a part of what defines the brand. 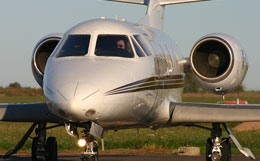 Even today, the Learjet is one of the major contenders in the private aviation industry. 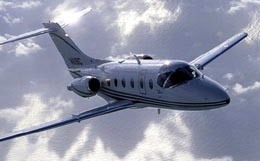 In 2006, the Learjet 40XR was released, which is an improved version of the Learjet 40 with superior climb rates, hot-and-high capabilities, and all-around performance. As a result, the 40XR has the capability to climb to high levels of altitude circumventing the hindrances of the majority of bad weather conditions and air traffic density. The Learjet brand has dominated much of the light private jet market with its superb cruise speed, technological innovation, and impressive cabin space. Taking into consideration that the Learjet 40XR has massive range for a light private jet, it is an optimal private travel solution for those who need high-performance, versatile, and efficient transcontinental solutions in a tight, comfortable, and flexible package. With very competitive interior cabin dimensions, passengers will appreciate superior legroom and freedom of movement when compared to many competing light private jets. 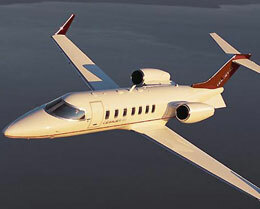 With 17' 7" cabin length, 5' 1" cabin width, and 4' 9" cabin height, the Learjet 40XR offers a cabin volume of 363 cubic feet. Comfort and space are maximized in the typical seating configuration of six passengers featuring a luxurious club plus two layout. Ample external baggage space offers its passengers 50 cubic feet more room to transport their luggage, while internal baggage provides 15 additional cubic feet in the form of of a forward closet. First-class seating, retractable tables, and a refreshment area provide additional comfort for transcontinental trips. 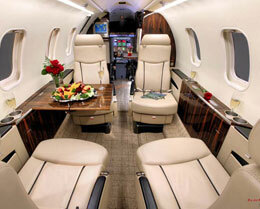 Altogether, the Learjet 40XR specializes in maximizing comfort and efficiency for short to medium-range trips. Light jets are typically not credited with being especially comfortable or spacious, but the Learjet 40XR makes a concentrated effort to avoid neglecting this important aspect of private travel. As impressive as the interior cabin of the Learjet 40XR is, its true competitive strengths are centered around its remarkable performance characteristics. With an average cruising speed of 453 ktas and a maximum cruising speed of 465 ktas, the 40XR is incredibly fast. Its transcontinental range of 1,617 nautical miles will please private travelers who need to travel from city to city very quickly. As mentioned earlier, the 40XR performs well in hot-and-high conditions, requiring only 5,090 feet of runway space at high altitude. Equally impressive, it can takeoff in just 4,680 feet at sea-level even with a maximum takeoff weight of 21,000 lbs. 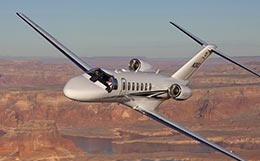 Climbing speed is also improved over its Learjet 40 predecessor and it can reach FL370 in just 15 minutes. Furthermore, its aerodynamic design and drag-reducing winglets provide high fuel-efficiency to reduce operating costs. And with advanced Honeywell Primus 1000 avionics, its pilot will be as happy and comfortable as its passengers. To put it simply, the Learjet 40XR excels in nearly all areas and is an all-around solid choice for a light jet. For more information about chartering, leasing or buying a Learjet 40XR please contact us by calling +44-20-3874-8091 or send us an email here.